Metro will take a four-week break from most track work during cherry blossom season. Major track work is not scheduled for the weekends of March 22-23, March 28-29, April 5-6 and April 12-13. Trains will run at regular weekend intervals on all lines (every 6-12 minutes during daytime hours). Metro said the only planned weekend work during the break will take place after 10 p.m. Sunday evenings, ridership is light. "While the weekend work is necessary to rebuild the system's infrastructure, we are in a position to take a few weekends off to allow the region's residents and tourists to enjoy the season," said Metro General Manager Richard Sarles in a statement. "Taking Metrorail is the best way to get to and from the National Mall during this busy time of year." 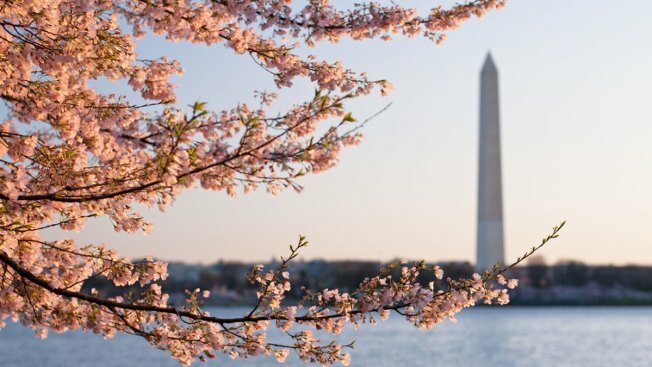 On average, Metro ridership increases by more than 15 percent during cherry blossom season, and weekend ridership can double to near-weekday levels if the weather is nice. Metro will run more eight-car trains than usual during this time.